If you and your seven friends have always wished you could play Smash on the same television, NOW IS YOUR CHANCE. 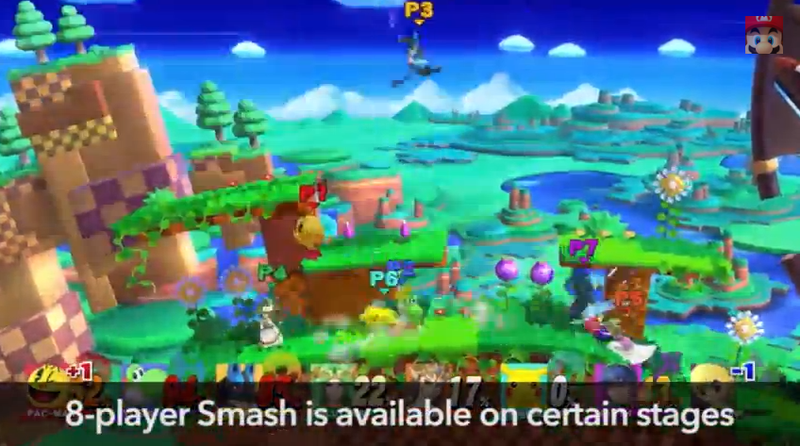 The Wii U version of Super Smash Bros. will let groups of up to eight people play together, Nintendo just announced during their live event. You can have five-player battles, six-player battles, and—crazily—eight-player battles on some stages in the upcoming Wii U game, which is out November 21.